The new season of Masterchef just kicked off here in Australia and I was lucky enough to team up with the amazing guest chef Anna Polyviou! Anna created a firecracker dessert challenge for tonight’s episode which had a crazy 76 steps for completion! To match the vibe and aesthetic of her masterpiece I designed these customs that feature Annas love of graffiti and pop art. Hope you had the chance to check them out live on tonight’s episode but if not you can check out the reply here on 10 PLAY, episode 3! 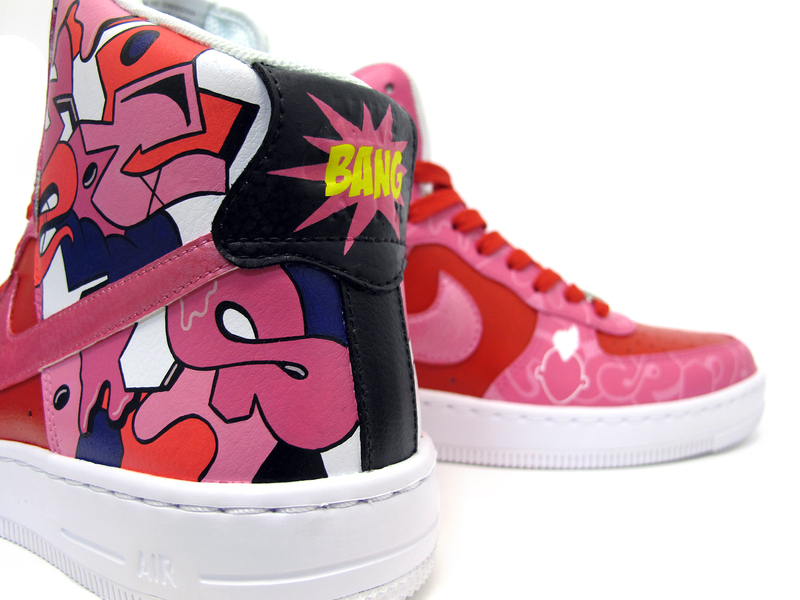 [ Smiles ] I love the funky artwork on the sneakers! Thank you for the message 🙂 thats awesome to hear she likes them so much. They are a 1 of a kind hand painted pair I made for Anna so sadly they are not available in shops to buy. I make all my customs on commission so they tend to be one of a kind pieces of sneaker artwork.